World Day of Theatre for Children and Young People is an ASSITEJ campaign, promoted and celebrated through the message ‘Take a child to the theatre, today. For 2019, PACT in partnership with Assitej, TUEJ, ATFC, and Canada Children’s Festival Association commissioned a message to promote and celebrate World Day of Theatre for Children and Young Audiences from a Canadian perspective. This year’s message has been written by Jessica Carmichael. Jessica Carmichael is a non-status mixed Abénaki/Euro artist. She specializes in theatre directing, acting, dramaturgy and creation. She is an Assistant tenure-track Professor in Theatre at Concordia University. Jessica has contributed to a variety of artistic roles over the years, notably as Artistic Director of Carousel Players in St. Catharine, Ontario for three theatre seasons and as a past artistic associate with Native Earth Performing Arts in Toronto, where she was Program Director of their Creators Unit Animiikiig. Jessica is a graduate of the National Theatre School of Canada (Acting), the Royal Academy of Dramatic Art/Kings College London (MA Text & Performance Studies with Distinction), the University of Alberta (MFA Directing with Distinction) and the Stratford Festival’s Michael Langham Workshop for Classical Direction (2014, 2016). 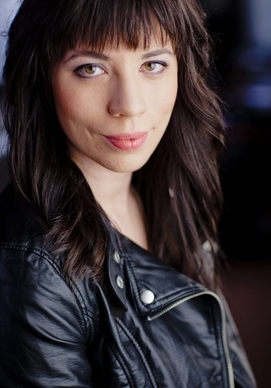 As a freelance artist she recently led dramaturgy for the development of Pawâkan Macbeth at the Stratford Festival (July 2018), she dramaturged Women of the Fur Trade at Native Earth’s 2018 Weesageechak Festival (April-November 2018) and co-dramaturged Jeff Ho’s Cockroach with Playwrights Workshop Montreal and Repercussion Theatre (October 2018). Upcoming: director of apəTHē/ at Concordia University; performer and co-dramaturg for Guilty by Association’s 1991 as part of Why Not Theatre’s Riser Project (May 2019). Jessica Carmichael’s message is read in French by Charles Bender, actor. For 2019, ASSITEJ has selected two message writers: Joyee (8 years old) and Jojo (11 years old). To read these messages and access other resources for the day, visit the ASSITEJ World Theatre Day for Children and Young People site.